There are several reasons we love to use drum and instrument loops in our music, not least for the idea of a ready-made and well recorded beat or guitar loop (like the ones below) to make our next track sound like it belongs on the radio or next to your favorite tunes on this week’s playlist. They can give us inspiration and make us sound like we’re the masters of recording and mixing to our friends, colleagues and peers. Once that tedious job of scrolling through endless banks of them is done and we land on that winning loop it is always well worth it! However, just slapping a drum loop straight into your track and expecting it to give you the perfect mix isn’t often the best way to go about things. So, here are a few tips and tricks on how to put your loops to good use. Live drum Loops are great because they give the deception that there’s a real drummer crashing and bashing away in our home studio and as many people will tell you there’s nothing better than having the real thing on your record. One of the main reasons they sound so good is that they’re not perfectly in time and each hit will have a slightly different velocity and tone. However, a ready mixed drum loop can lose a bit of punch and bite in a full mix. By layering up an extra kick and snare drum sample on top of your loop, it will give you more control over the levels and make sure the drums really cut through. It’s worth auditioning several different hits against your loop to make sure you’ve got the right ones.Take your time over this and don’t slap any old hit in there just because it sounds good on its own. However, by layering up extra hits it can create a bump in certain frequencies and things could start to sound a little muddy especially in the low end. Try EQing some of the bass end out with a shelf or a high pass filter. 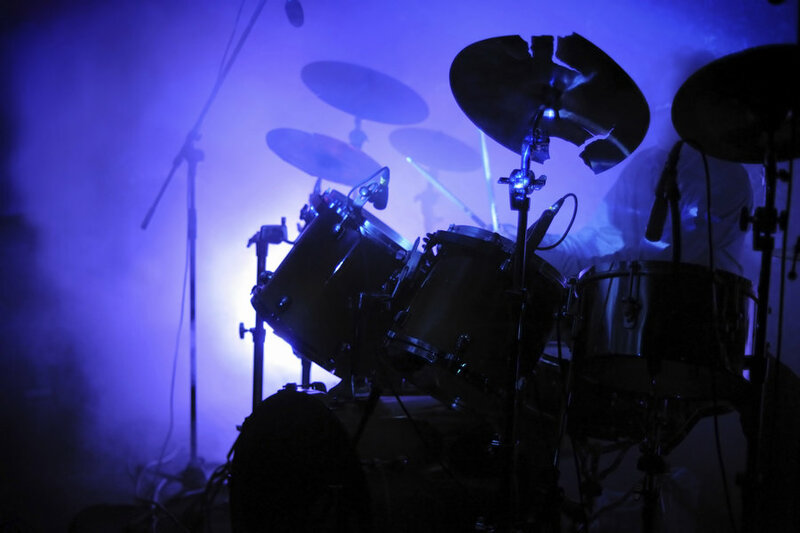 Another little tip is to mix in a rim shot or side stick along with your snare sample which will give it nice bit of bite and feel, as though the snare is punching you between the eyes…. These are great examples of the use of the high pass filter on loops. The main beat (kick and snare) is obviously programmed in a drum sequencer (or directly in your DAW) but by filtering out all of the lows and mids on your loop, it will give the space between your main beat a great sense of flow and rhythm. It is very much like hihats or percussion would do, but by doing this with drum loops instead, you get loads of extra textures and intricacies (not to mention the natural feel of a loop) that to put it simply, sound bloomin’ cool. You can also try filtering out the highs and the lows and leaving in the mid frequencies instead, which will give your beats more body as well as rhythm. You might think by distorting and gnarling your drums up, everything will start to sound messy and unclear and you’d probably be right if you were doing it to your main drum bus. However, by making a direct copy of your drum loop, or main drums and adding a cabinet effect or just distortion then sitting them underneath your drum mix you will create extra harmonics and a really fat sound, which will enhance your beats. It probably won’t even be that noticeable in your full track mix either. Be careful of low end frequencies again though as once these are distorted they can tend make things a little too messy. EQ them out or reduce them and your crunched up drums sound should sit a lot better. Once we’ve found the loop with the feel and sound we’re after we can find that it doesn’t quite have the right groove we want for our track. Don’t be afraid to take matters into your own hands and slice and dice those beats up. Restructure it to create a new groove. If your newly made loop is sitting underneath other sample hits then the fact that you’ve mangled it could likely be unnoticeable anyway (unless of course you want it to be obvious). Another way to chop your loops is to “re-loop” them, by setting the loop point for half, quarter, eighth notes etc. You can use them to do fills and builds. When chopping loops, be careful you don’t get clicks at the edit points and remember to fade in/out or use the good old trusty cross fade. You could simply chop at the point where the wave crosses zero, which is good practice for editing stuff accurately. This one is a particular favorite of mine and can really give us some interesting and cool textures that will make your beats sound as though they’ve come from the 3rd dimension. It’s almost a combination of all 4 previous paragraphs plus a bit of reversing in there too. In fact whatever you fancy doing on any given day. By crunching, chopping, twisting, layering and even adding effects such as filters, delay, reverb etc (in a creative and musical way of course) you can create a sound that will blow your minds and hopefully not your speakers!